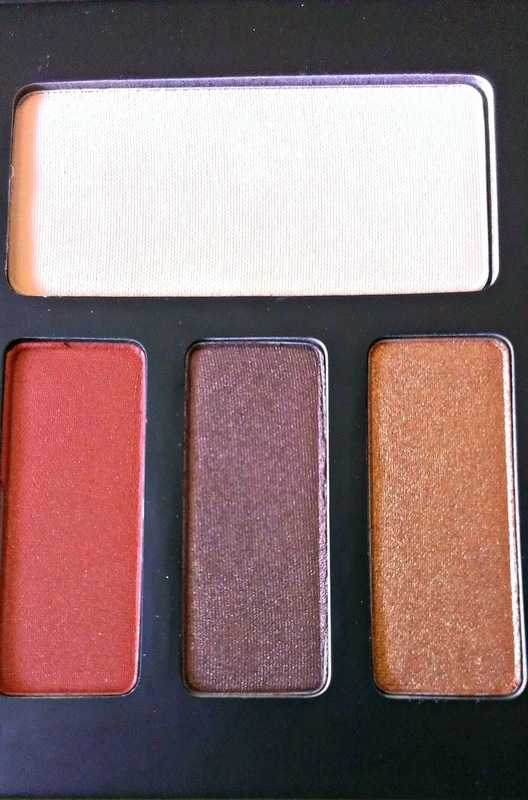 I've already reviewed the Chrysalis palette here, so I'll skip the usual introduction and get right into the review! 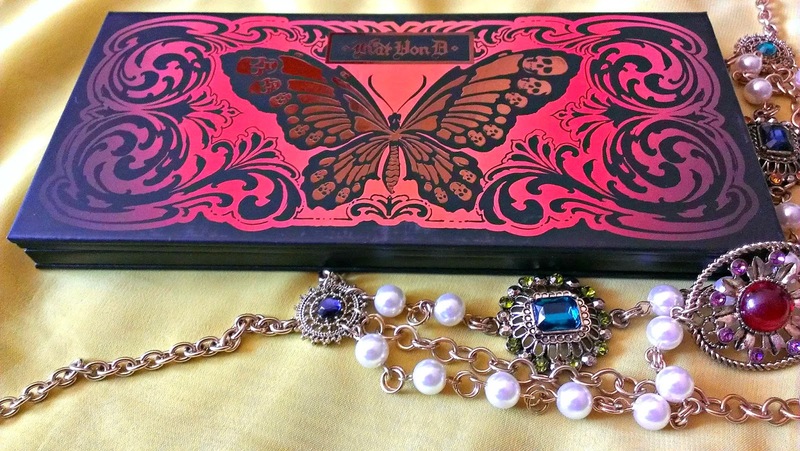 Monarch is the second of the two new palettes that Kat Von D has released. While Chrysalis was more cool-toned, Monarch is more neutral and warm-toned. The packaging is made of thick cardboard, and feels quite sturdy. The design is similar to that of the Chrysalis palette, except this one has warmer colors, to reflect the kind of shadows found inside. The larger shadows on top are meant to serve as a base shadow, but unless you're on the paler side, these shadows are better suited as highlights than base shadows. That being said, I've worn Entomology (first large shadow on the left) and Telepathy (middle large shadow) as sheer washes all over the lid and they look nice, as long as you keep them sheered out. Entomology - is a matte cream. Wrath - is a deep, burnt orange satin with tiny flecks of gold glitter that pretty much unnoticeable. One of the more unique shades I've come across. Papilio - is a medium warm, chocolatey brown satin. Summerfly - is a bright, sunny shimmery yellow gold. Telepathy - is a shimmery light white gold. 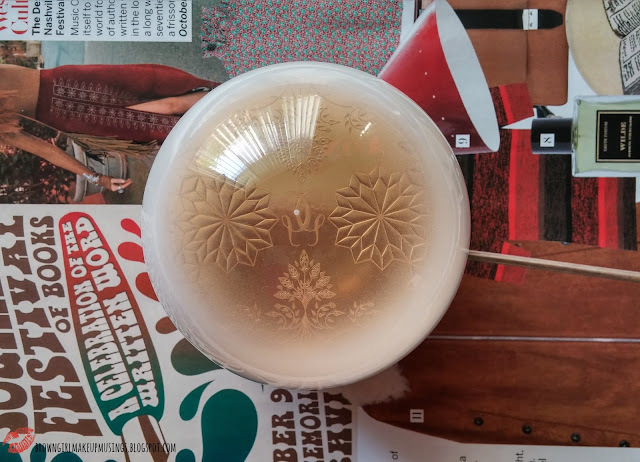 Killing Jar - is a satin rose gold. 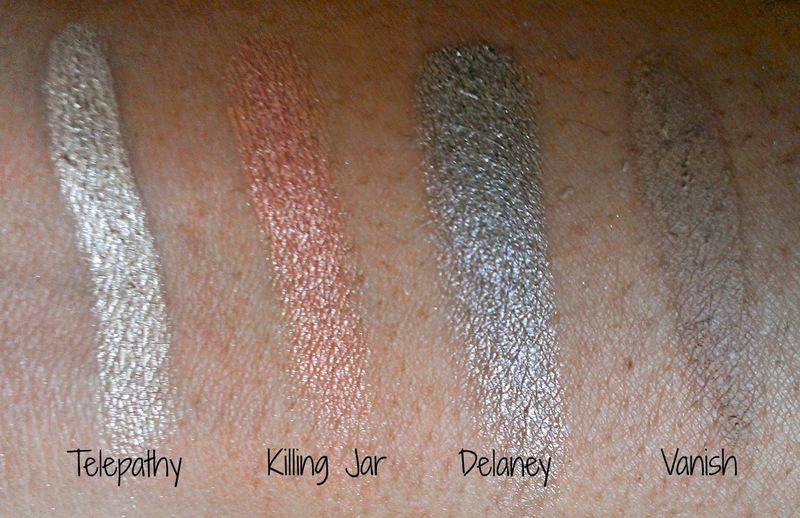 Delaney - is a shimmery metallic silver. Vanish - is a matte greige. Disintergration - is a satin deep, earthy brown. Shadow Box - is a matte, warm dark brown. Deadhead - is a matte black. 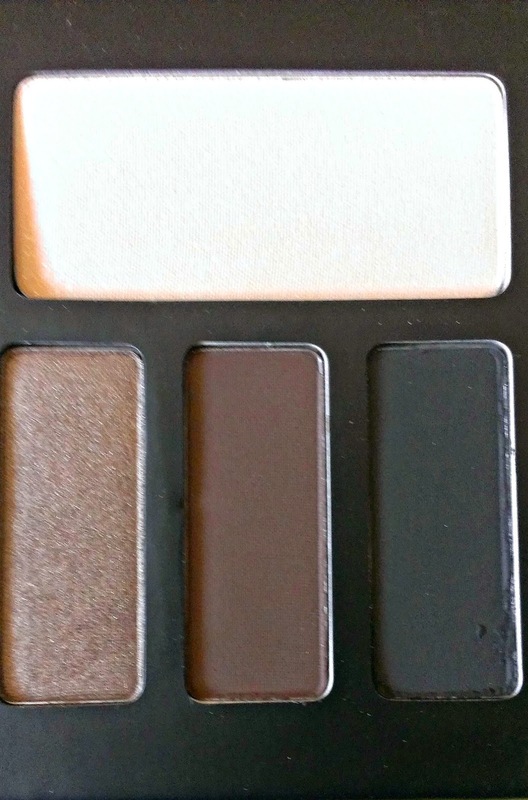 This isn't the most pigmented black shadow I've come across, and it was the problem child of the palette. 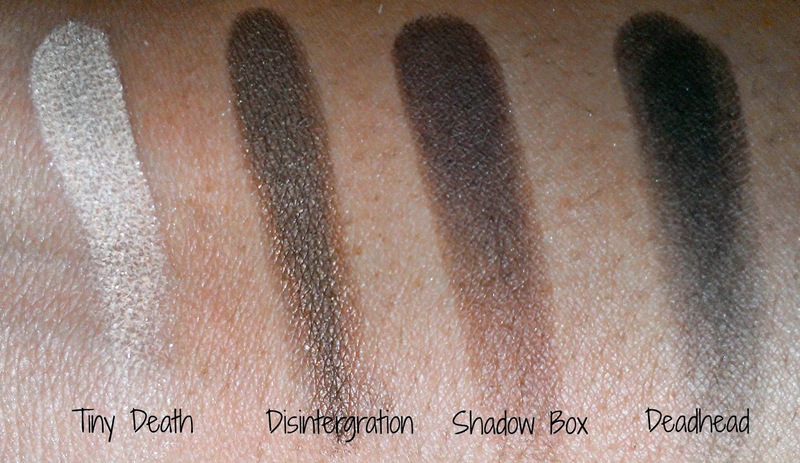 All the shadows are highly pigmented. They apply easily and blend out smoothly. 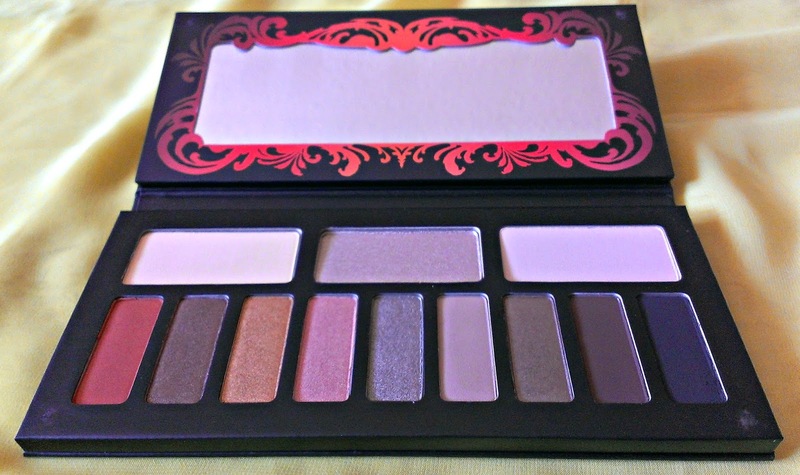 Even the mattes feel soft and buttery, and did not go on patchy at all, with the exception of Deadhead. The pearls and shimmers were so creamy and incredibly pigmented. The only shade I had a mild annoyance with was Tiny Death. 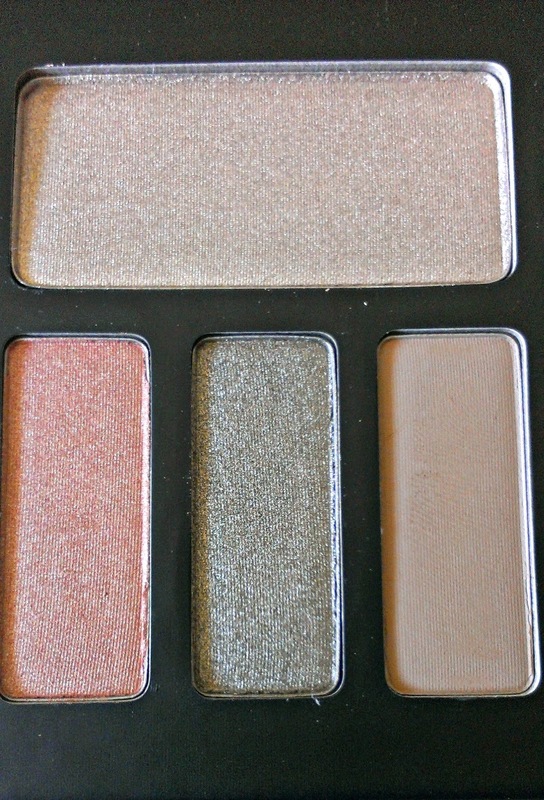 The shade is lovely, and the quality superb, but the glitter just ruins it for me. The shadows last for a good 8 hours on me with primer - I can't attest to how well they do without primer because I have terribly oily lids and need a primer at all times. 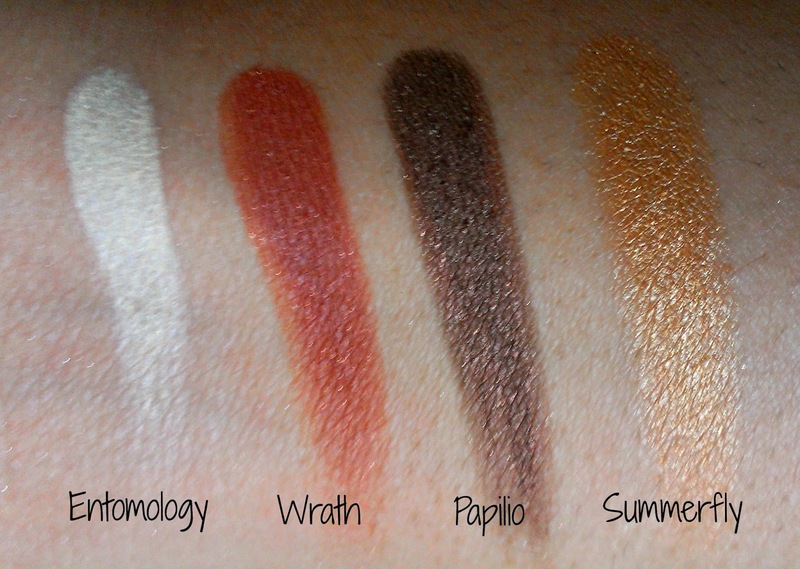 (The swatches, however, were done without primer). This is definitely a more neutral palette, with a few 'different' shades (Wrath, Delaney). I think this will be better received by those with warm tones, as the palette has mainly warm toned shadows. II don't understand the reasoning behind having such large pans for what are essentially highlight shades, because clearly we're going to be using less of those shades, but that's a minor annoyances. The quality of the Monarch palette is a little better than the Chrysalis palette. The least pigmented shadow was Deadhead, the matte black, which is not a huge deal for me given the plethora of matte blacks I have. Agreed - I particularly like her neutrals, they're not boring, but they're not too outlandish! Perfect for work!